Yan Ting at St Regis Hotel Singapore welcomes new Executive Chinese Chef Tony Wun. Chef Tony has more than 35 years of experience under his belt leading and managing teams of chefs at various five star international hotels and restaurants. 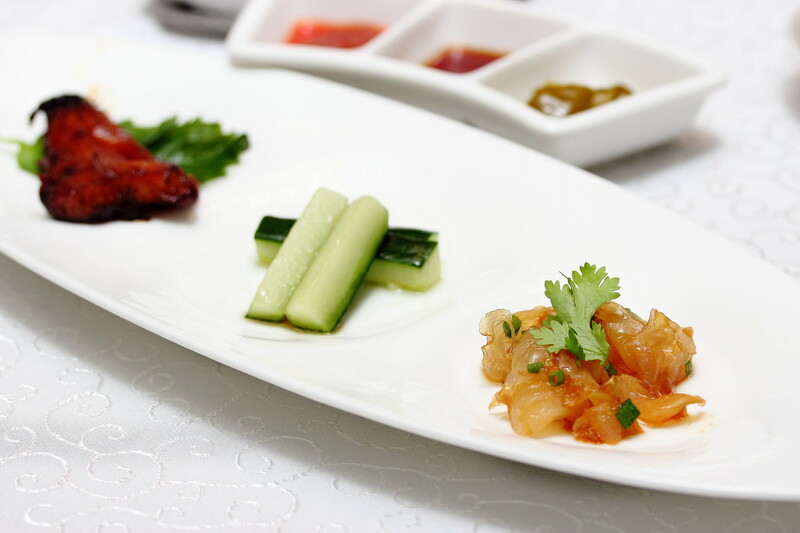 With the new appointment, Chef Tony Wun presents his specialties at Yan Ting with a delightful a la carte selections and an exquisite 8 course set menu. We were given a glimpse of Chef Tony's culinary skill starting with a Trio of Appertisers. 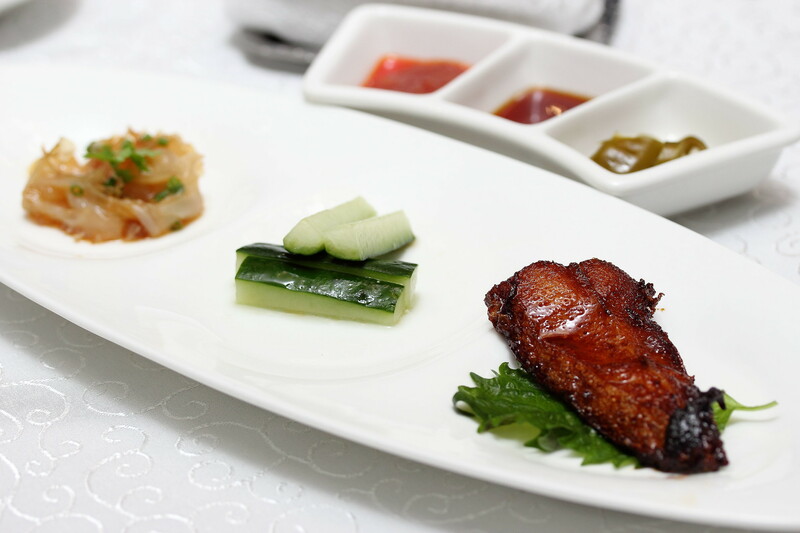 On the plate, is the Shanghai Style Smoked Fish, Cucumber with Olive Oil and Marinated Jelly Fish with Scallion Oil. Simplicity in execution to bring out the best of the ingredients is shown on the plate. Sea Whelk is a form of sea snail and Chef Tony uses it to make his Doubled Boiled Sea Whelk Soup with Black Garlic served in a teapot. 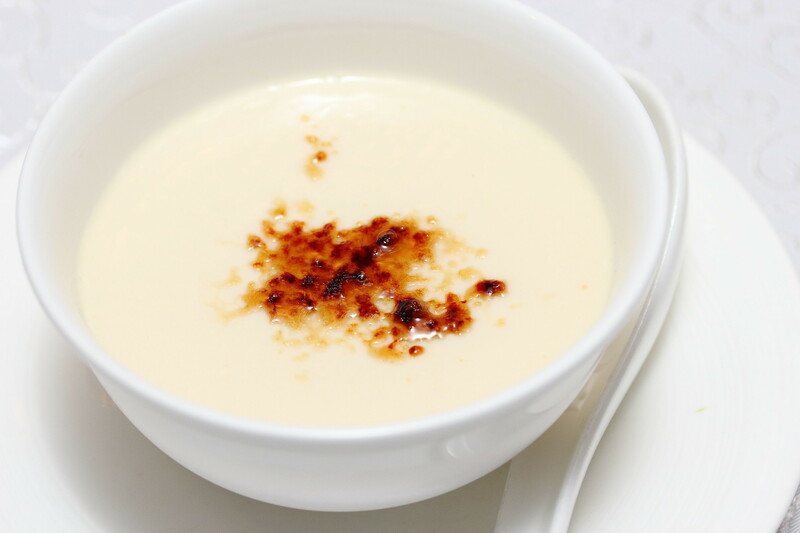 The clear and rich soup reminds me of the Japanese's teapot soup. Probably drawing the same concept, each tea cup is filled with the flavour essence of the sea whelk and black garlic. Next up is the Barbequed Pork Neck Meat and Macau Style Oven Baked Pork Ribs. The sweetness of the marinade complemented the pork ribs excellently. However the star has to be the Barbequed Pork Neck Meat. The excellent cut that gives the utmost texture enjoyment was well paired with the execution to make this one of the highlights for the night. I am not sure whether this is a classic Cantonese dish but I truly enjoyed the used of the preserved vegetables and minced ginger with the Steamed Yellow Fish. 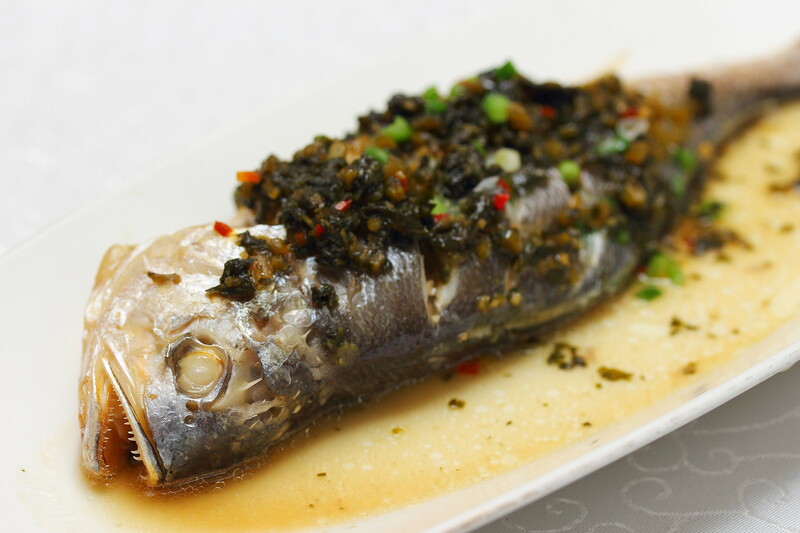 The preserved vegetables and minced ginger complemented the dish cleverly while not drowning the natural sweetness of the yellow fish. The Cantonese Style Stir Fried Wagyu Beef simply blown me off my seat. It was still so tender after being stir fried. It comes with a bit heat from the peppercorns but that is exactly why it is so flavourful. 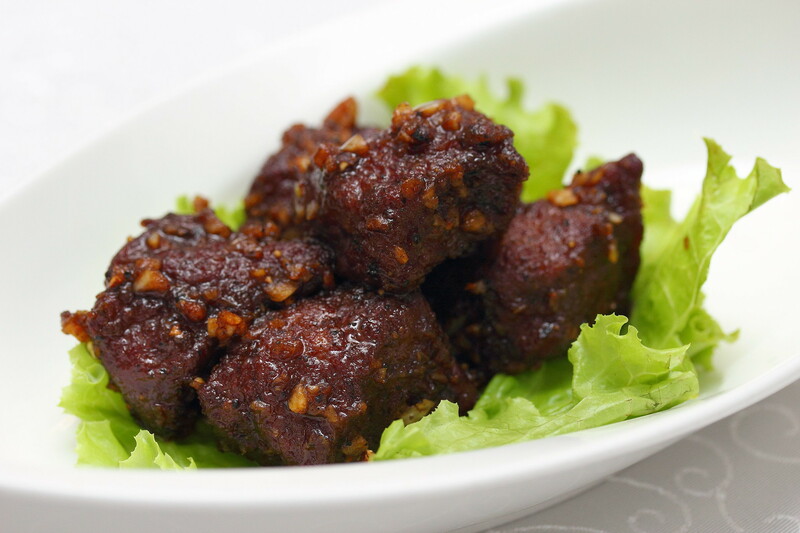 The fiery spice has further elevated the flavour of the beef to a new level. 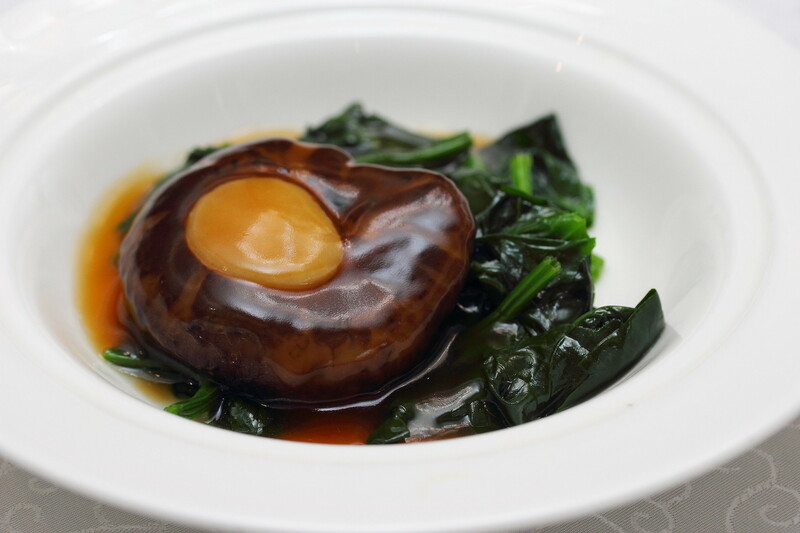 It is quite interested to see the Braised Mushroom filled with Dried Scallop. This dish demonstrates the braising skill of Chef Tony. Knowing that his specialty is in braised abalone, this dish kind of given me an indication how amazing his braised sauce for the abalone is going to be. 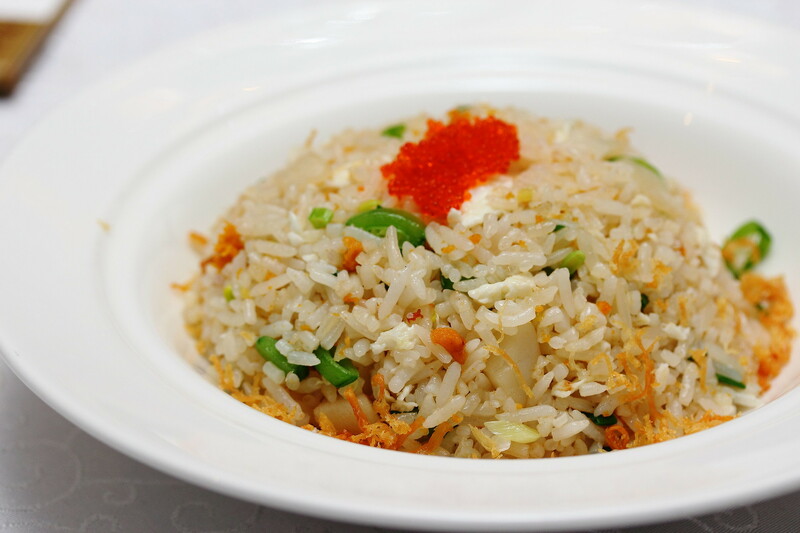 One of the most looked forward dish is the Wok Fried Rice with Sea Urchin and Fish Roe. The fried rice itself was fragrant and delicious. However the high expectation of sea urchin and fish roes were unnoticeable in the dish, which turned into some what of a disappointment. Wrapping up the dinner is the Caramel Ginger Milk. I did not enjoy the dessert. While the flavour was there, I felt it lacked the smoothness for a good bowl of caramel ginger milk. 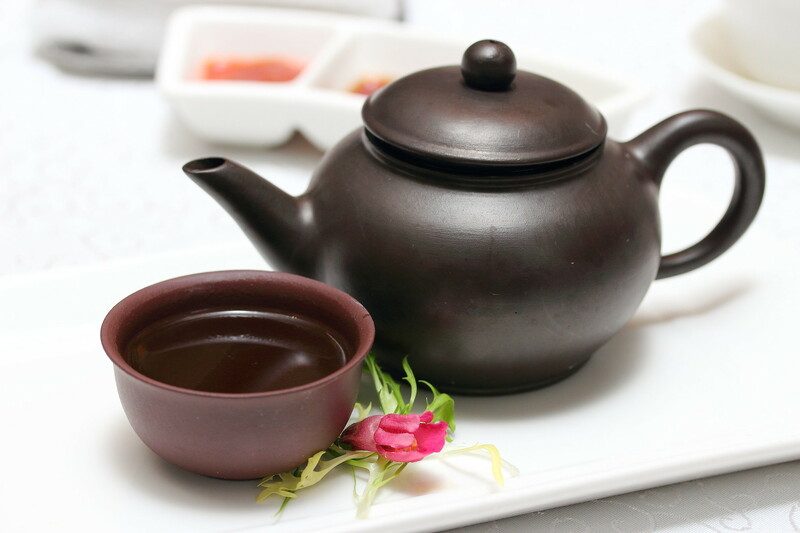 Overall, I have enjoyed my dining experience at Yan Ting. Chef Tony Wun has brought expertise refined from Hong Kong, presenting flavours of the Cantonese cuisine in a modern and western twist. 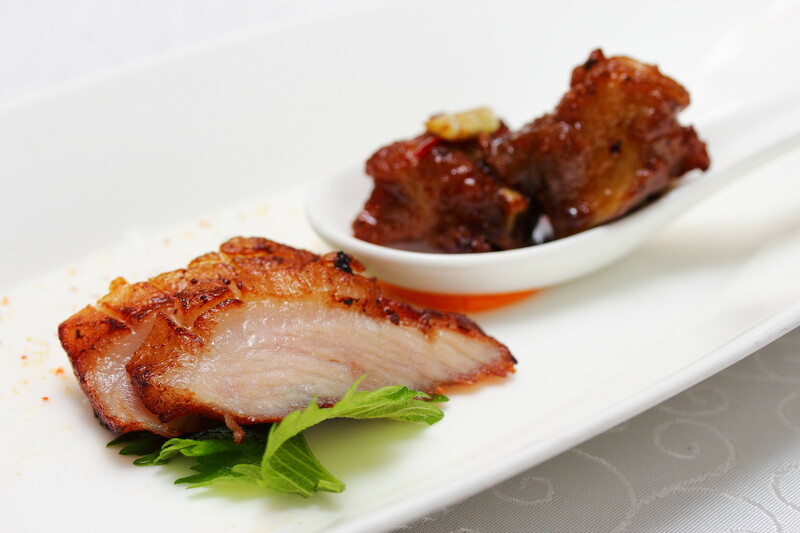 Guest at Yan Ting can look forward to a memorable and epicurean experience.